If you need a marble polishing service, you have come to the right place. Do not choose a company that offers the lowest prices. There is a possibility of encountering nonprofessional’s. 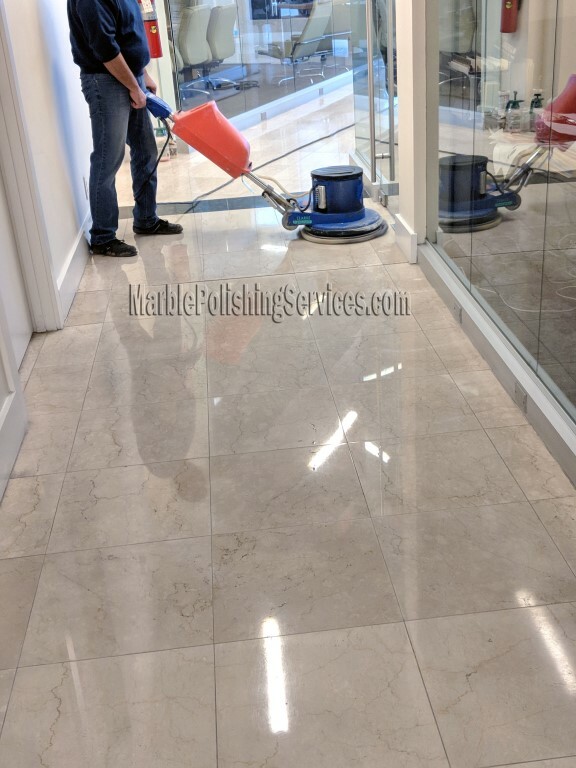 Polishing marble floors requires high skills and experience. In the selection of specialists it is worthwhile to focus on prices that are average in the market. It is also worth paying attention to the term of the company’s functioning and customer feedback. As a result of the restoration of the marble floor, its resistance to mechanical influences increases. Modern technologies allow increasing the strength and durability of the stone. Currently, when laying a marble floor using a seamless method. However, in the process of laying, unevenness may arise, which level the polishing of the marble floor. After processing, the seams will be absolutely invisible, the floor will have a monolithic appearance. Thanks to modern polishing technology, it is possible to restore floors that are in very poor condition. After processing, even a much neglected marble surface will be indistinguishable from the new one. Moreover, the surface of the floor on which the restoration was made will not only have a beautiful appearance, but it will also be much easier to clean the floor, since more often after polishing the floor, we take one more step, such as protecting marble from dirt, splashing, oils and water ingress into the pores of the stone, – by applying a special hydrophobic impregnation. Currently, there are a lot of different prices on the market regarding the polishing of marble. What’s the Difference? The difference is that cheap prices are often used cheap and low-quality compounds (polishes) and powders. Our company uses only the top quality products, due to which we can provide the most optimal price / quality.